Gatwick is to become a second London operation for Air Berlin. Twice daily flights (with revised weekend services) will start on 7 February to both Hanover and Nuremburg. The airline, which is to join oneworld next year, is already established at Stansted where it serves Dusseldorf, Munster and Paderborn (Germany) and Salzburg (Austria). British Airways has won at the Court of Appeal against a proposed class action resulting from an EU Competition Commission fine (as noted in last week’s AERBT). Two flower importers had wanted to act in a US-style lawsuit on behalf of around 200 companies which claim they have suffered loss as a result of the cartel. Last week the Court of Appeal ruled that the case cannot go ahead. It may well be that claims will be brought individually against BA. Up to 33 airlines were said to be involved. Air Southwest says business as usual whilst it waits for its takeover by Eastern Airways to be consummated. For the new year the Plymouth-based carrier will introduce a daily service between Newquay and Cardiff starting 4 January. The short flight across the Bristol Channel eliminates a 193-mile road journey which includes the Severn Bridge (where the toll for a car of £5.50 is to be raised by 80p on 1 January 2011). 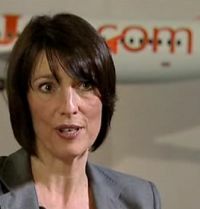 Luton-based easyJet, under the new management of former Guardian executive Carolyn McCall, is to introduce a flexible fare targeted at business travellers. The tickets will give passengers unlimited flexibility to change their flight up to two hours before the scheduled departure time. Initially it will only be available through business booking channels, including Global Distribution Systems (GDS) and self-booking tools used by travel companies and at a later date will be accessible to all passengers. At the same time the airline, now 15 years old, reported a £121.3m net profit for its fiscal year ended 30 September, a 70.4% increase on the previous 12 months. A dividend was suggested for 2012. 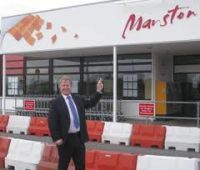 Dover-bound passengers (and of course in the other direction) will be pleased to learn that Flybe is to continue with its daily services between Manston and both Edinburgh and Glasgow for next summer. If connecting for a cruise the current early evening arrival and departure from Scotland might mean a local overnight hotel stay (unless the yet to be published schedule is changed from the present timings). The flight from England’s North West arrives lunchtime which is fine for the ships. Hyatt is to develop another New York luxury hotel. It is already represented with the Grand Hyatt near Grand Central Station. 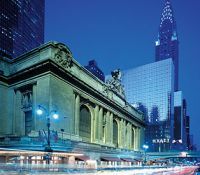 The Park Hyatt New York will be located at 157 West 57th Street between Avenue of the Americas and Seventh Avenue, across from Carnegie Hall. Slated for completion in 2012, the 210-room property is part of a 90-storey mixed-use tower that will also feature 135 Thomas Juul-Hansen-designed luxury condominiums with breathtaking views of Central Park and the New York skyline. Canada and Qatar have signed an air service agreement which is likely to pave the way for non-stop flights between either Montreal or Toronto to Doha. Provision has been made for up to three direct passenger services a week as well as three cargo flights between the two countries. 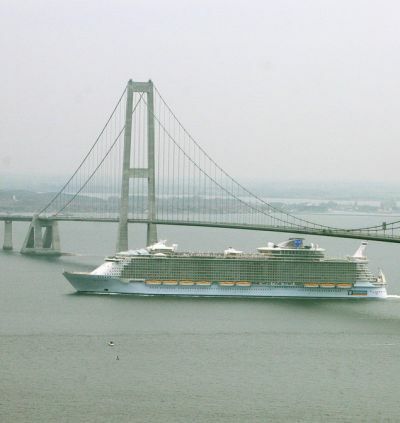 Allure of the Seas, Royal Caribbean’s latest mega liner passed under the Storebaelt Bridge in Denmark on 30 October with a 20-inch (51cm) clearance. She is 1,181ft (360m) long and has a beam of 216.5ft (66m). At 225,000 tons, and together with sister ship Oasis of the Seas, is the largest passenger ships afloat and can carry and provide up to 8,500 souls including crew. The ship features telescoping funnels, a two-deck dance hall, an open air sports court, a theatre with 1,380 seats, and an ice skating rink. There are six swimming pools available, a wave machine and numerous restaurants and eating places. Down the centre of the ship is a shopping arcade overlooked by internal balcony cabins. Allure of the Sea and Oasis of the Sea are both based at Port Everglades, Ft Lauderdale, Florida and operate all the year round seven night cruises alternating with the Eastern and Western Caribbean. The size of the ships is such that they cannot pass through the Panama Canal. APD may be having its effect on airlines but some inter-country operators, whilst not exactly cheering at its increase, are more than positive. Eurostar, for which passengers do not pay departure taxes, has not issued any statement, but the Passenger Shipping Association (PSA) – which also represents Britain’s ferry lines – has been very positive. Carnival Cruise Lines has cancelled voyages of the Carnival Splendor for a further week from the departure of 9 January 2011, to allow time for repairs following a serious engine room fire. Guests who were scheduled to sail on cancelled voyages will receive a full refund of their cruise fare and air transportation costs, along with a 25% discount on a future cruise. Celebrity Cruises is what it calls “Solsticized” in April 2010 when it added some of the most popular attractions found onboard the Solstice class ships to Celebrity Constellation. Celebrity Infinity is now following. When she leaves scheduled dry dock on 3 December 2011 new features will include the upgraded AquaClass accommodation which includes the speciality, “Blu,” offered exclusively for passengers selecting that class of accommodation. New verandas will be added to the ship’s Celebrity Suites and the Celebrity iLounge, which debuted on Celebrity Eclipse and made Celebrity Cruises the industry’s first Authorised Apple Reseller. There is a general make-over of the cabins and various lounges. Crystal Cruises is to return to Alaska next year for the first time since 2005. Crystal Symphony, the subject of a major remodelling just 12 months ago, will operate nine 12-night sailings from San Francisco, taking in Vancouver, the stunning ‘Inside Passage,’ Juneau, Skagway and Glacier Bay. 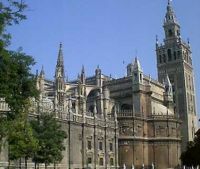 The first 2011 cruise starts on 9 May with the last itinerary departing 13 August. Helsinki hosted 247 cruise ships this year, a remarkable achievement considering the Baltic port only has a relatively short season from 21 April until 12 October. Approximately 340,000 passengers from 143 countries visited the port. Up to six cruise ships called on Helsinki on the busiest days. “The outlook for next season is positive, as we have already received more reservations for 2011 than we did for 2010,” comments Cruise Network Manager Tuija Aavikko. P&O will revamp its operation somewhat from the beginning of December 2011. The Southampton-based cruise line is to offer four ships for what it calls family travel (Aurora, Azura, Oceana and Ventura) and three (Adonia, Arcadia and Oriana) exclusively for adults. The cruise line says that with Artemis, an adult only ship, leaving the fleet next May, and with the demand for that style of cruising on the increase Oriana, which in fact is P&O’s oldest vessel (1995), was ideal for a make-over. Oriana has 900 cabins as opposed to 600 on Artemis. Pacific Pearl (ex-Arcadia and Ocean Village) is the latest arrival on the Australasia cruise scene. She is presently undergoing a multi-million dollar refit in Singapore before heading to her new base at Auckland, her arrival signifying P&O Cruises' strong commitment to the New Zealand market. Carrying 1,800 passengers, the 63,500-tonne vessel will feature a giant poolside entertainment screen, three restaurants including Waterfront, Plantation, and Salt Grill by Luke Mangan, seven bars and lounges, Aqua HealthSpaFitness centre, two swimming pools, a swim-up-bar, multi-level show lounge, four kids centres, a casino and duty-free shopping boutiques. Regent Seven Seas Cruises is to offer a complete circumnavigation of South American in January 2012 out of Fort Lauderdale. Seatrade, the Mediterranean biennial meeting place for the cruise industry, opens next week (30 November – 2 December) at the Palais des Festivals et des Congrès in Cannes. Held in association with French Riviera Cruise Club, and supported by MedCruise, Seatrade Med is coming to France for the first time in its history. 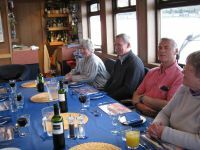 The Passenger Shipping Association (PSA) says that the UK ocean cruise market continues to buck the trend with a record number of passengers predicted for 2011. Figures last week show an estimated 1.77m passengers will take a cruise holiday next year, an increase of 8% on this year’s figure of 1.64m passengers. For the first time, the number of UK fly-cruise passengers is set to exceed one million with a 2011 forecast of 1,060,000, up 75,000 on this year’s figure. The number of British passengers joining their ship in a UK port next year is also expected to rise by 55,000 to 710,000. The organisation, to which virtually every cruise organisation with sales outlets in the UK belongs, says that next year’s additional 130,000 cruise passengers reflect strong performances from the major UK cruise lines coupled with additional capacity that has come on stream this year. First launched in 2005, (inspired by Mediterranean cruising on a Turkish Gulet), the Majestic Line has developed into an award winning, distinctively different boating holiday and is probably the smallest cruise line in the world. 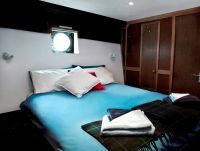 Glen Massan and Glen Tarsan were formerly Irish fishing boats, now refurbished into luxury, motorised “yachts” with six double en suite cabins, saloon and sundecks to accommodate 11 guests, with a crew of skipper, chef, engineer and bosun. 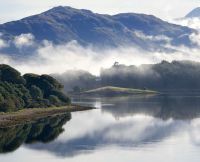 The west coast of Scotland has the most spectacular, unspoilt, breathtaking scenery along its rugged rocky coastline and long necklace of islands from south Argyll to the Hebrides in the North West Highlands. The best way to experience the seascapes, mountains, lochs, heritage, history and wildlife is an authentic “messing about in boats” adventure. Glen Massan departs from Dunoon on cruises around the coastline of the Cowal Peninsula, Loch Long, Loch Fyne, Isles of Bute and Arran. Glen Tarsan is based in Oban for varied Hebridean island-hopping visiting Mull, Staffa, Iona, Skye, Colonsay, Treshnish and Slate Isles. Alternatively, a journey along the Caledonian Canal to Loch Ness, through ladders of locks with ancient castles, myths and monsters along the way. The great value, all-inclusive cruise fare covers accommodation, charming, caring hospitality, gourmet meals and ship to shore transfers. As well as joining a mixed group of couples and individuals, you can hire your own cruise line!. 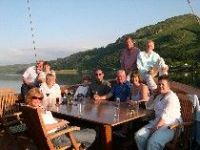 Whole boat charters are very popular for families and friends, corporate events and celebrity getaways for a celebration, weekend break or Highland holiday. 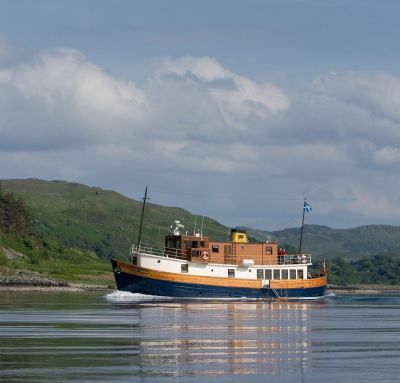 After a warm welcome on board Glen Tarsan, in traditional sail away fashion we raise a glass of champagne as we mix and mingle with our fellow boating companions for a voyage around Mull, Iona and Staffa. Mini-cruise ship life is leisurely and relaxed and we quickly settle into the rhythm of the day’s routine as well as the gentle speed of the boat. No worries about sea-sickness travelling at around 7 knots in tranquil waters by day and anchored overnight. Every day is different with a choice of shore excursions – idyllic island walks along deserted beaches, hill climbing, historic castles, a whisky distillery and picturesque fishing villages. Be as lazy or as active as you wish. Sit and read, snooze on a deck lounger, go for a 5 mile hike or try your hand at fishing and your mackerel will be cooked for lunch. Sit on deck with binoculars to spot gannets and cormorants or seals basking on the rocks. Visit the bridge for a bird’s eye Captain’s view, to learn about maps, charts, navigational instruments, radio communication with coastguards and weather reports. These intimate, wee ships have the atmosphere of a friendly house party and by 18:00 or 19:00, it’s cocktail hour as we gather in the Saloon Bar before dinner. The superb Scottish cuisine emphasises fine local, seasonal produce, sourced en route – langoustines, scallops, mussels, salmon, lamb, organic vegetables, raspberries, farmhouse cheese. Evening entertainment – don’t expect a casino or cabaret. Expect CD music, board games, cards, and lively conversation over a whisky nightcap or two. With the boat moored in a sheltered bay, you’ll be lulled to sleep by the gentle lapping of waves. Highlights? On deck before breakfast – perfect, unadulterated peace and tranquillity, fresh pure air, the view of the loch against an iconic Highland backdrop; watching five dolphins diving around the bow of the tender boat off Calgary beach on the Isle of Mull; Mendelssohn’s Hebrides Overture soundtrack as we approach Fingal’s Cave; a G&T on the aft deck as the coral-pink sun sets slowly against a silhouette of shimmering islands on the horizon. The Majestic Line is simply magical and the finest possible escape from modern urban life – a unique, exhilarating, inspiring and fun mini-cruise for all ages. No wonder they won the award for Best Visitor Experience from Highlands and Islands Tourism, 2009. For a wintertime taster, Majestic Line chef Stephen Boswell, is offering exclusive dining on board the Glen Massan, moored at Holy Loch Marina near Dunoon from November 2010 until the end of March 2011. All inclusive fares : £895pp (3 nights) to £1695pp (6 nights). The cruise line has won the award for ‘best customer care’ by Highlands and Islands Tourism, beating some highly regarded properties on dry land. Rolls-Royce has come in for some harsh criticism following the serious engine fire on a Qantas Airbus A380 on 4 November. Not for its engineering but on the way it handled the situation PR wise. There are those who say that the company should have been more forthcoming with statements and providing spokesmen, and then others whose view is that Rolls acted correctly. Of course in retrospect it is very easy to make comments but there are two major aviation events in recent history that show how it should be done, and how it should not. When a Boeing 737 came down at Kegworth on 8 January 1989 Michael Bishop, the then Managing Director of British Midland Airways, was straight away on the scene, and was ready to face the media. He could not change the events but the press, for the most part, were sympathetic. They knew the event was hurting him too. Just a few weeks earlier Pan Am 101 had crashed at Lockerbie. It was not the fault of the airline. The Pan Am senior executives literally locked themselves away in their headquarters building near New York Grand Central Station. They failed to gain journalistic compassion. In retrospect it does seem that Roll-Royce, rather like Pan Am, has preferred to say very little. A very brief statement was issued within 24 hours of the incident and another four days later. Their argument of course was that the facts were not to hand. Better to say nothing than utter words that might prove meaningless as details emerged. On balance, in our view, they were wrong. 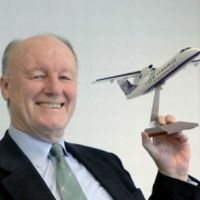 Whilst it is true that the outgoing Chief Executive Sir John Rose, a banker by training, is not as media savvy as his predecessor Sir Ralph Robins, but with 25 years experience at the Derby-based company it would seem that he should be well equipped to have dealt with a formal press conference. It is all a question of confidence, for the travelling public, for airline customers, and also vital for the City. Rolls-Royce is a great British engineering company that has proved over recent decades that this island can still be top of the tree when it comes to manufacturing excellence. It needs to tread very carefully over the next few weeks. Sir John is due to retire in March 2011. We would wish him to do so under a bright star and not a dark cloud. 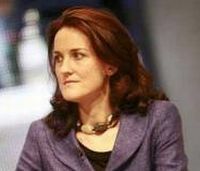 Theresa Villiers, Minister of State for Transport has been confirmed as the keynote speaker at a one day conference in London on 26 January organised by Transport Times. Her appearance is perhaps an indication by the Government that air transport in particular requires a greater interest than shown to date. The Hendon MP is not noted for her love of aviation. A host of top grade speakers is promised including Andrew Haines, Chief Executive, Civil Aviation Authority; Colin Matthews, Chief Executive, BAA; Stewart Stevenson MSP, Scottish Minister for Transport, Infrastructure and Climate Change; Carolyn McCall, Chief Executive, easyJet; Tim Johnson, Director, Aviation Environment Foundation and Julie Southern, Chief Commercial Officer, Virgin Atlantic. London south of the River Thames suffers from a shortage of executive accommodation. 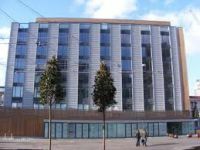 This was partly alleviated in April 2009 with the opening of the trendy Bermondsey Square Hotel just off Tower Bridge Road. This property is now to join Hips Hotels, one of 20 individual properties in London, including One Aldwych and The Soho Hotel. 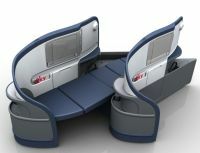 Boston and Miami are to become Delta destinations from Heathrow at the start of the summer season 27 March 2011. 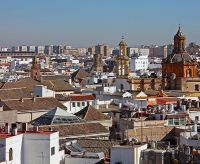 The new routes capitalise on the 2007 ‘Open Skies’ deal and also of the slot divesting required by British Airways following its alliance with American Airlines and Iberia. Two-class flat bed Boeing 767s will be used on the services. 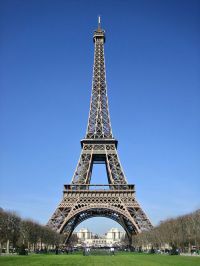 Air Asia X, the long haul low fare carrier, is to introduce flights from Kuala Lumpur to Paris on 14 February. 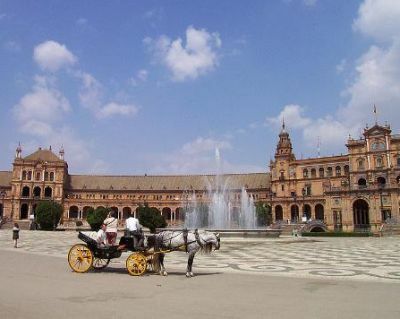 This is the airline’s second European destination. It also flies to Stansted. As with London the airline has chosen a secondary airport, this time Orly. Initially flown four times per week the route will be serviced by an Airbus A340 with 327-passenger capacity including 18 Premium seats. These are positioned, uniquely, amidships the aircraft. Accommodation includes flat bed seats 20” wide, 61” pitch stretching to 77” in full recline position. 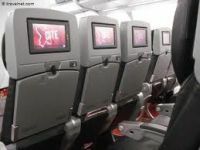 The seats feature universal power sockets, adjustable headrests and built-in personal utilities including tray table, drink holder, reading light and privacy screen. The same basic meals as the rest of the aircraft are served, gratis for the main dinner. Extras are charged for. Passengers can connect at Kuala Lumpur’s low cost terminal on to Air Asia X's other destinations including Australia, and the whole Air Asia network. www.airasia.com. 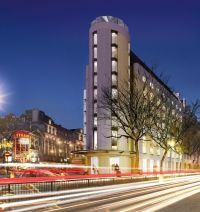 Sol Meliá, whose current sole UK hotel is the highly acclaimed White House close by Regents Park, is to open a ME "experience-based" property in London. Sited near Covent Garden the property is expected to open just before the 2012 Olympic Games. The 173-room property will feature two destination restaurants and bars at ground level, as well as a convention centre with 7,857 sq ft of available space. Taking over a prestigious site at the junction of The Strand and Aldwych, previously the City Bank building, ME London will be designed as a cutting-edge, contemporary hotel by Sir Norman Foster. The 173-room property will feature two destination restaurants and bars at ground level, as well as a convention centre. 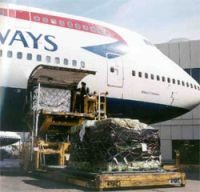 British Airways is to introduce a twice daily (with a single flight at weekends) service between Paris Orly and Heathrow T5 for the first time on 10 January 2011. 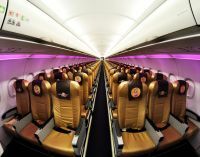 The route will be served by A319s, A320s and A321s and will offer Euro Traveller and Club Europe. Orly is also connected by Air France to London City. Boston, a popular US gateway from Europe, looks like getting new x-ray technology showing a “stick figure” instead of the controversial outline of a passenger’s assets according to a local newspaper. 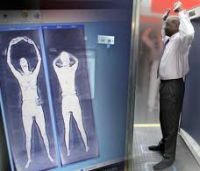 In March the airport, called Logan International, became the first in the US to get the full body scanner. “All you’ll have is stick figure and a little block around each anomaly on you,” George Naccara of the Transportation Security Administration (TSA) said of the new scanners due to arrive by late winter. 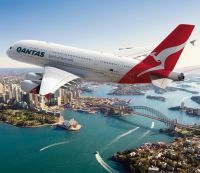 Qantas Airways is likely to face several more weeks of disruption before its fleet of six Airbus A380s can return to service, Reuters reports from ‘down under’. This might impinge on its Christmas capacity with the airline’s Boeing 747s for the most part already scheduled. The Boeings, in various configurations, have as many as 150 seats less than the big Airbus. Rumours also abound that Airbus could be suing Rolls-Royce but this is a doubled edged sword as the airframe manufacture has clearly not met its contracted delivery dates over the last three years. London City Airport (LCY) has released figures showing its economic contribution to UK plc, as a tiny minority of neighbours have launched a legal battle against an expansion approved by Newham Council. It is reminiscent of the campaign in the 1980s by another self-styled small group trying to stop the airport being built at all. 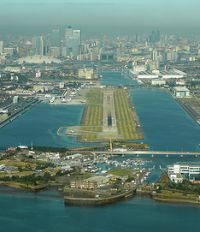 Today LCY is the catalyst for the successful commercial and residential expansion of the whole of the Royal Docks and much beyond. A study shows £197m is spent by business tourists and £115m by leisure tourists coming in via London City. 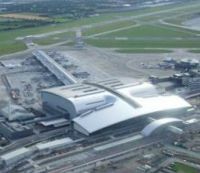 According to consultancy York Aviation operations and businesses at the site generate £100m and the airport supports more than 2,700 jobs. Residents from campaign group Flight The Flights are opposing the Council’s decision to allow a 50% increase in flights at the airport because, it is claimed, it didn’t consider changes to Government policy on climate change or properly consulted boroughs and people in the surrounding area. Aer Lingus has commenced its move to Dublin Airport’s Terminal 2 with a programme of proving flights. The airline will operate a range of European services into and out of the new facility over the next few weeks, as it prepares for a full transfer of operations into the new terminal. 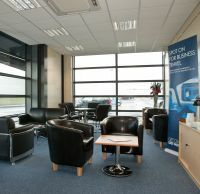 The building was official opened by Taoiseach Brian Cowen last Friday (19 November). The idea of the test flights will enable the airline to ensure a smooth transition of its flights from Terminal 1 to Terminal 2 in January, avoiding the Christmas holiday period when the airport is traditionally very busy. The United States Customs and Border Protection (CBP) authorities will also move. 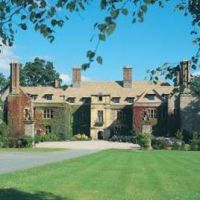 von Essen, the executive aviation and hotel operator, has acquired Llangoed Hall Hotel in Powys (Wales), just north of the Brecon Beacons National Park. It brings the von Essen Hotels' private collection up to 31 properties. Set in acres of beautiful landscaped gardens and dating back to 1632, Llangoed Hall Hotel is an impressive destination and joins the Michelin-starred Ynyshir Hall, on the edge of the Snowdonia National Park, as the Collection's second Welsh property. East Midlands Trains has celebrated its third birthday with the opening a Business Class lounge at its Parkway station close by the airport with the same name as the rail operator. It features wi-fi, a facility for printing, a range of refreshments and a comfortable environment for passengers to wait for their train. 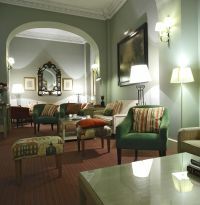 There are also similar lounges at Derby, Nottingham and St Pancras. 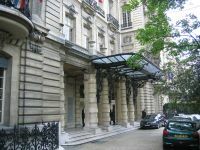 Linda The Shangri-La Hotels Paris will open in the French capital’s 16th district on 17 December 2010. 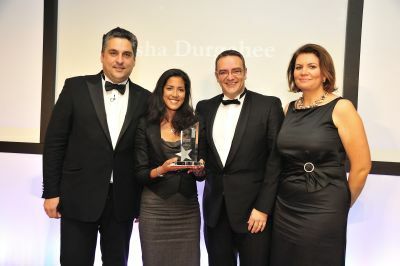 The hotel is the award winning brand’s first property in Europe. Built in 1896 as the private home of Emperor Napoleon Bonaparte’s grandnephew, Prince Roland Bonaparte, the Shangri-La Paris is likely to bring a tasteful balance between the group’s signature style of hospitality and French lifestyle. The restored landmark retains its residential heritage offering 81 rooms including 27 suites, making it the most intimate of all Shangri-La Hotels worldwide. The accommodation includes three Signature Suites highlighted by La Suite Imperiale which originally housed the Prince’s private apartment, and the penthouse La Suite Panoramique with 100 square metres of outdoor deck facing the Eiffel tower. The French gourmet restaurant L’Abeille and the city’s first authentic gourmet Cantonese restaurant, Shang Palace, will open in early 2011.